DistroTV, which will launch in the U.S., U.K., and Canada, will include entertainment, news, sports and documentary content. It will be ad-supported, with both programmatic and direct-sales filling the ad loads. The company has forged partnerships with Bonnier (owner of Saveur and Popular Science magazines), BritAsiaTV, FashionTV, Fighting Spirit and Sideways Film to fill the service with acquired and original programming. DistroScale says it intends to add additional TV programming, feature films, lifestyle programming, sports, and news in English and other languages over time. The company is also in discussions with “major news organizations, rights holders of music festivals, sports events” and other organizations to deliver their content to consumers. 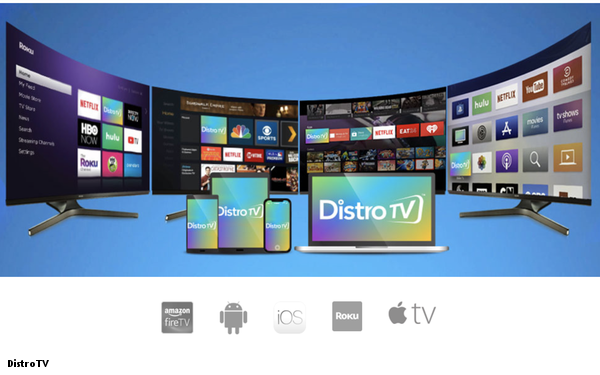 At launch, DistroTV will be available on iOS, Android, Amazon Fire TV and Roku devices. DistroTV marks a significant strategic shift for DistroScale, which is primarily in the video and advertising technology and distribution business. In a statement to Digital News Daily, Distroscale CEO-cofounder Navdeep Saini said that the company’s experience with back-end infrastructure and video delivery informed their decision to enter the streaming video space themselves. DistroTV is joining an increasingly crowded landscape of free, ad-supported video services. Pluto TV, recently acquired by Viacom, Tubi TV, Sony’s Crackle, Xumo, and others are trying to become a complement to premium subscription services, such as Netflix and Hulu.